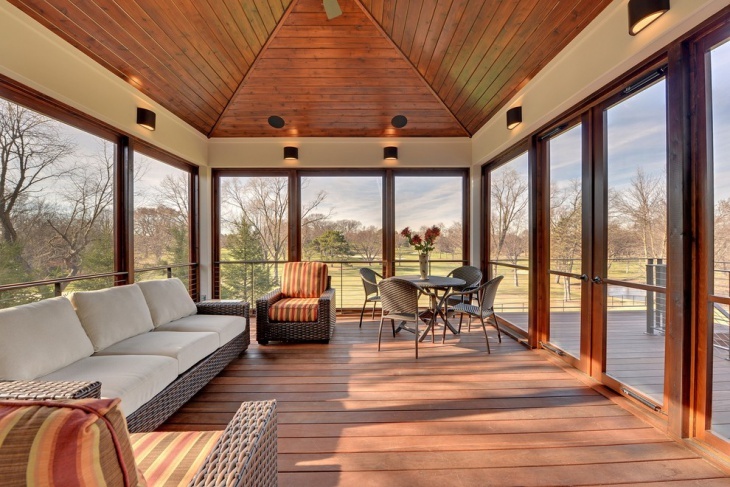 This large and spacious sunroom features glass doors surrounding the living area, the outside area is covered with plantation which is a treat for the eyes and can be enjoyed from inside. The room is adorned with warm sofas, rugs, coffee table and lamps. 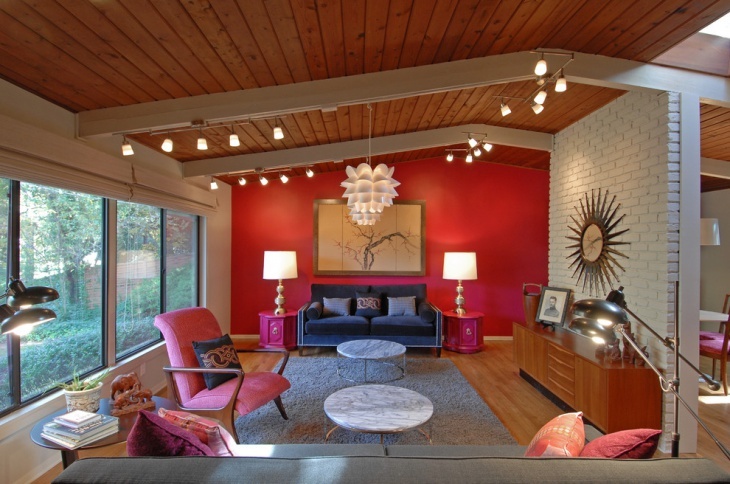 This modern living room features amazing wall lighting ideas that are ideal for sunrooms. The ceiling is of wooden where the lights hang low and create a mood. The greenery outside is one beautiful view to be enjoyed from the comfort of the couch inside. 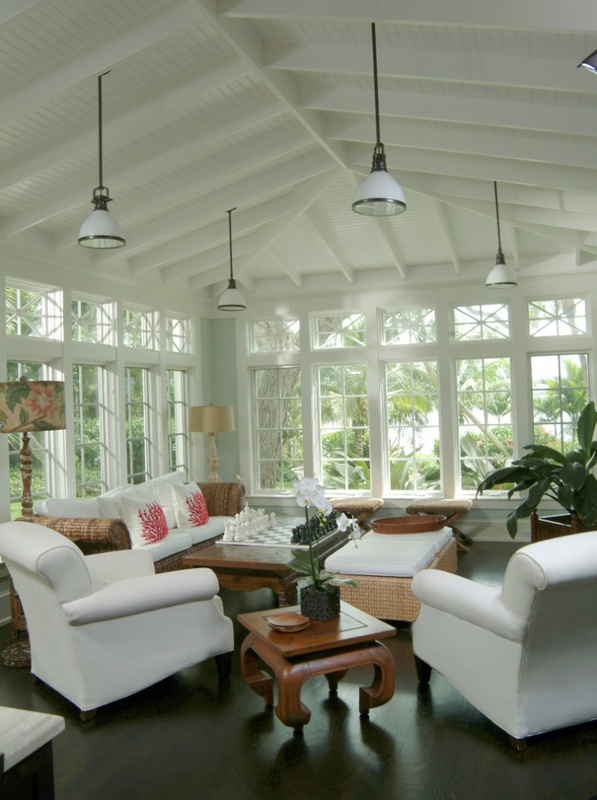 This beautiful white sunroom is very subtle and has a pop of elegance in it. It features several pendant lights in the same color scheme that is white. 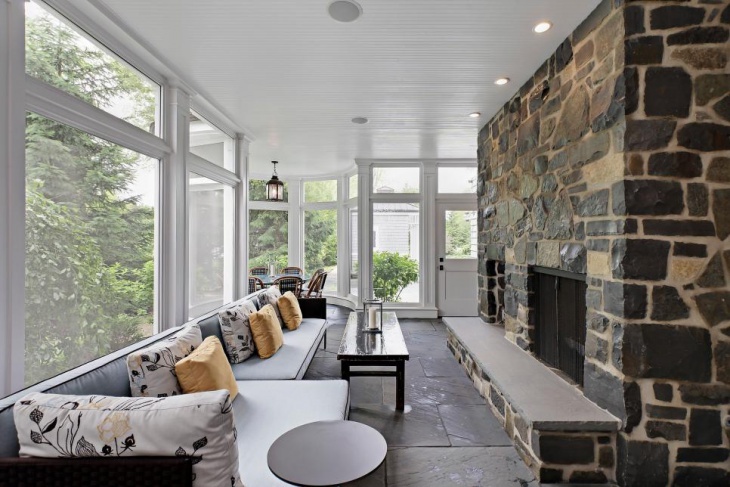 It is a cozy sunroom with a breathtaking greenery view outside. 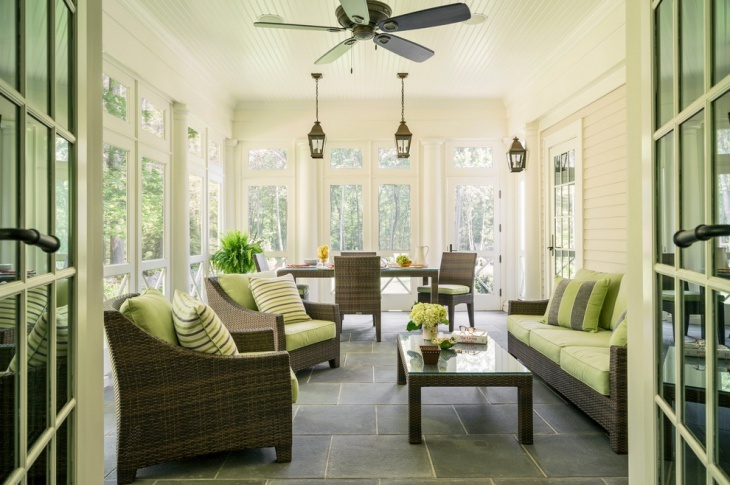 This is a timeless traditional style sunroom with a green color theme that depicts the nature and its beauty. From the sofas to the coffee table and the cushions, everything has a natural green theme to match the outside view of the house. 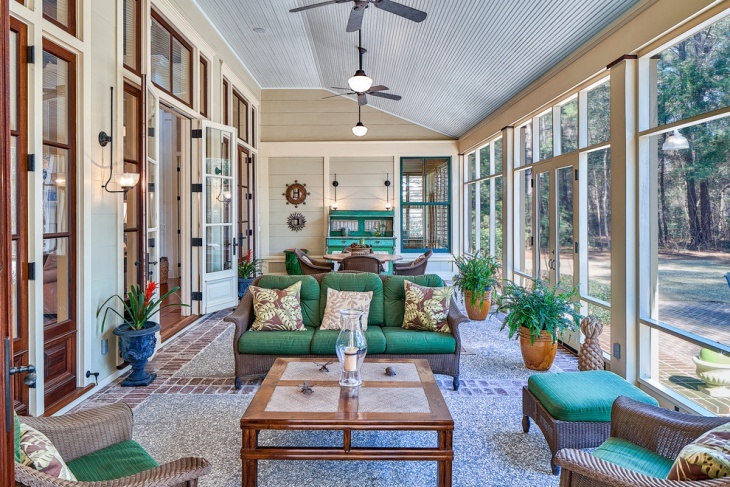 This sunroom having a traditional style to it is very large and spacey. It features several sofas, lights and also natural pots inside the room. 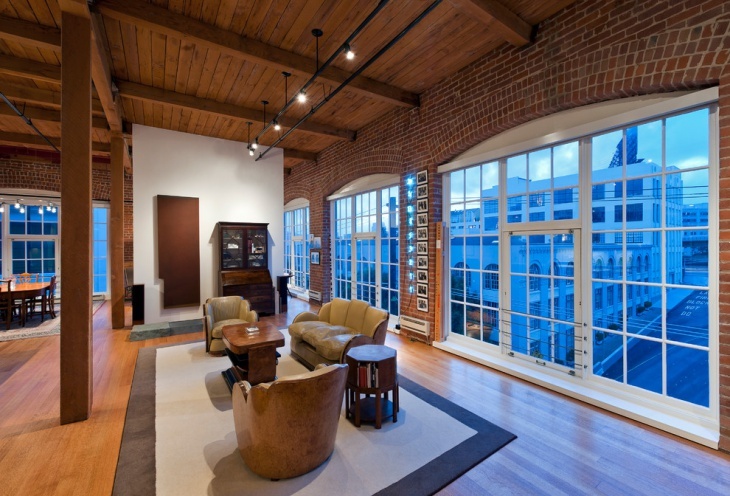 There are several glass windows that allow you to enjoy the outside view of the place. 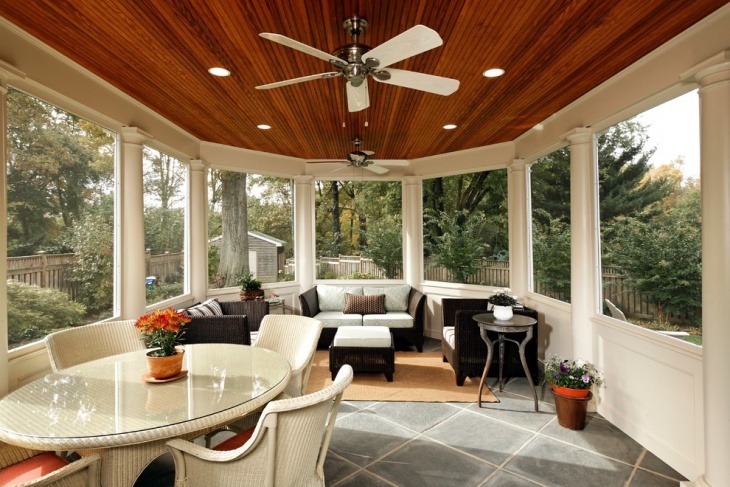 This lavish little sunroom features a luxurious round dining table with printed designed chairs along with it. Apart from that, it features a classic chandelier light. It has cove lighting high in the ceiling which absolutely sets the mood. 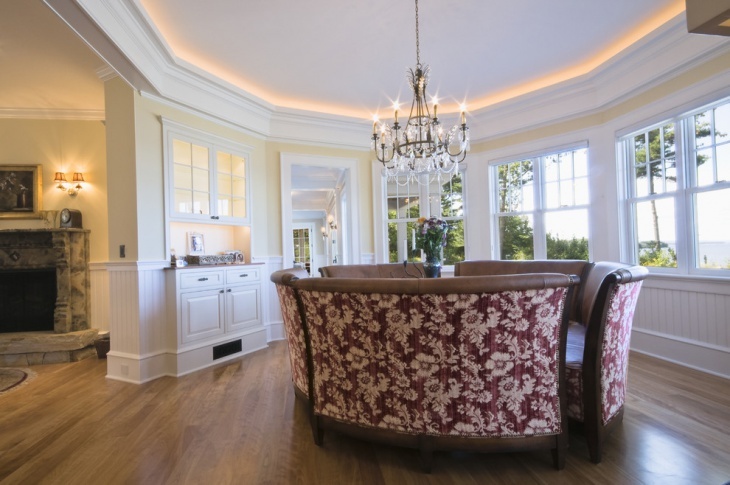 This traditional living room features chandelier lighting along with other ceiling lights. The room has the usage of warm toned colors like dark brown with white and has a lovely greenery view outside. 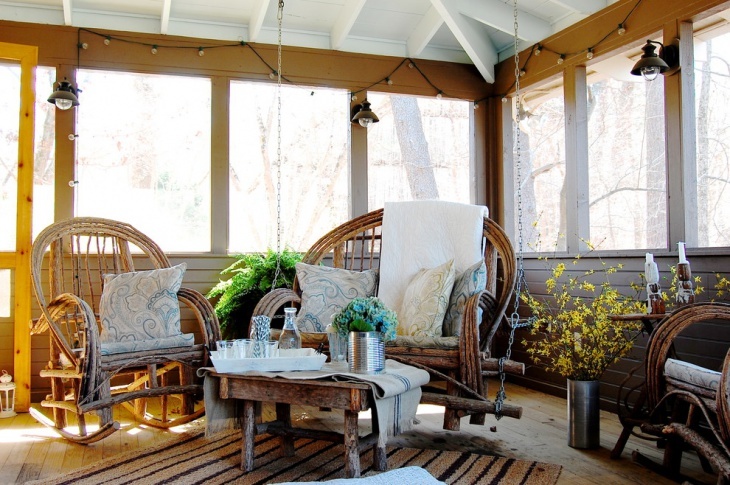 This rustic sunroom featuring string lighting design is beautiful and one of a kind. It features strings that are attached to the chairs that create a slightly swing effect. The doors are fully covered with screens and the lighting is perfectly suited to the design. 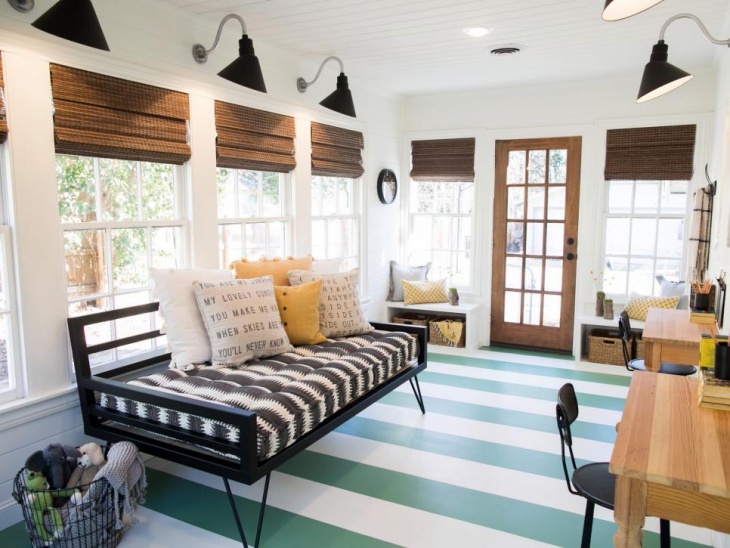 This warm, comfortable, cozy and luxurious sunroom is beautiful and has track lighting on the ceiling. The windows are large enough for the natural light to pave its way and keep the room looking and feeling warm all day long. 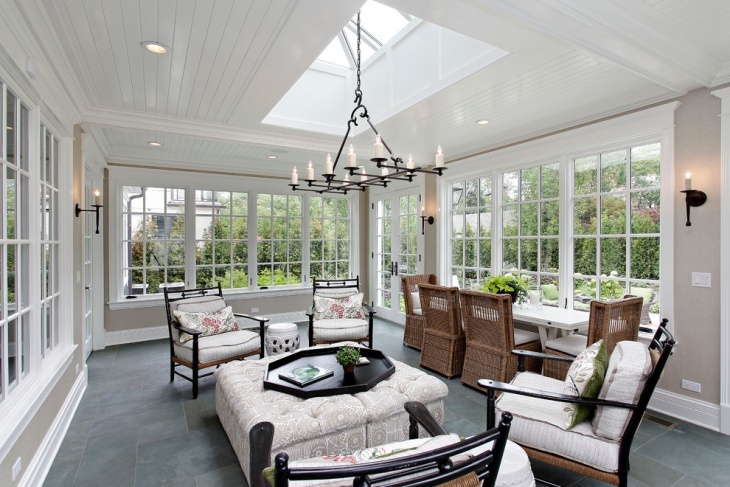 Sunroom lighting ideas are plenty but they have to be selected carefully as per the design of the room. 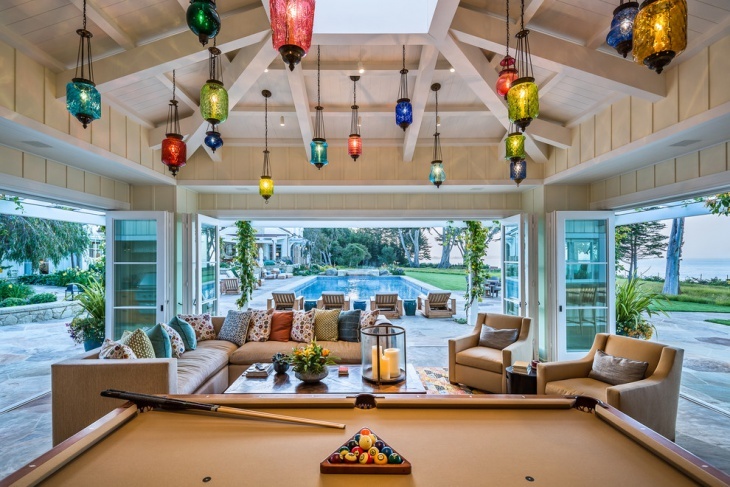 The above sunroom lighting ideas are there for you to incorporate, you can draw inspiration from them to create your own unique sunroom with lighting that is perfect for the mood and furthermore they enhance the mood. 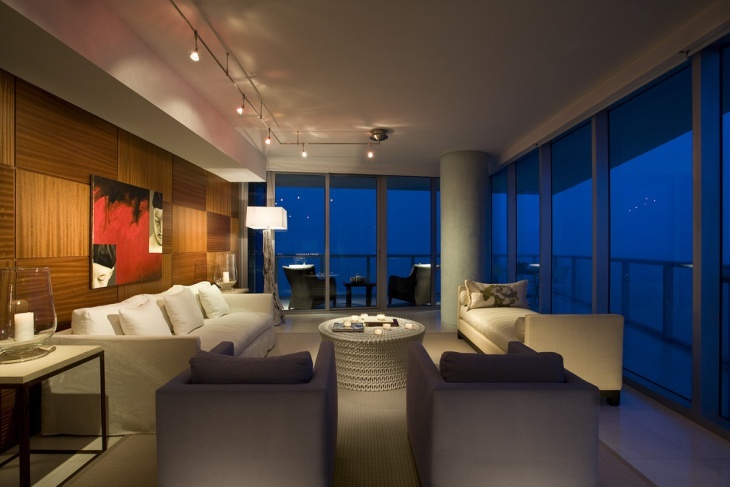 The lighting has to also complement the furniture of the room including the sofas, rugs, lamps, flooring etc.